Is your current furnace old, worn out, or just plain inefficient? For most of the year here in Colorado one of the highest monthly utility costs is the cost to heat your home. Think of your furnace as the heart of your home. In the winter, it’s essential to radiating warmth. During the summer, it plays a vital role in moving refreshing, conditioned air from your cooling system. And all year long, your furnace could provide constant air circulation to keep you more comfortable. Many of our furnaces do it all so efficiently, your own heart might skip a beat when you see how low your utility bill is. Some folks are perfectly happy with a basic-functionality furnace and others are looking for all the comfort bells and energy whistles. Whether you live in North Dakota or South Carolina, we have a range of fuel-efficient furnaces so you can choose the ideal one for your home. 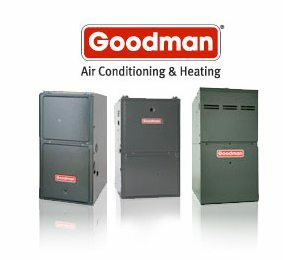 All Temperatures Controlled is proud to handle the Carrier® and Goodman® brand of residential heating systems that are perfect for your home at a refreshingly affordable price. Call us now for a free in home estimate on new or replacement systems and we will design a system to meet your comfort needs.